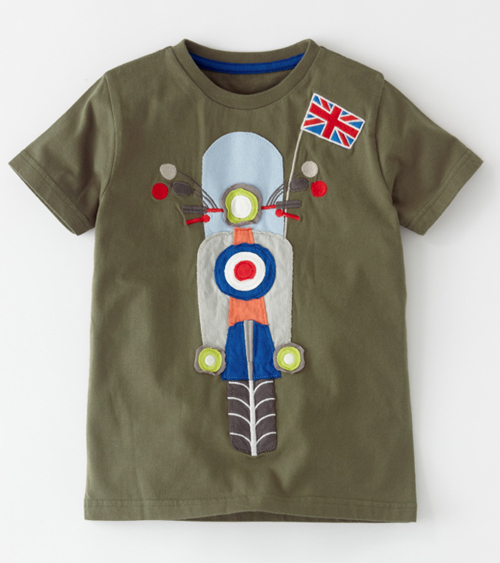 Boden is a London-based clothing company for women, men and kids and their gorgeous goods are available in the US, the UK and Germany. 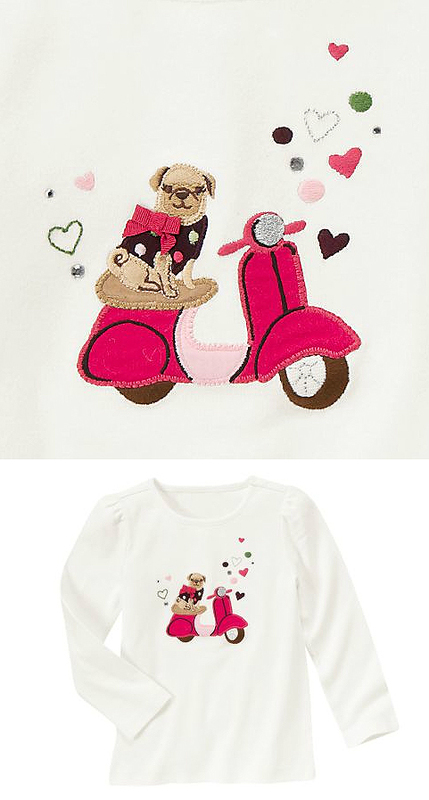 Their pre-fall catalog features some scooter-centric cuteness for the kids. 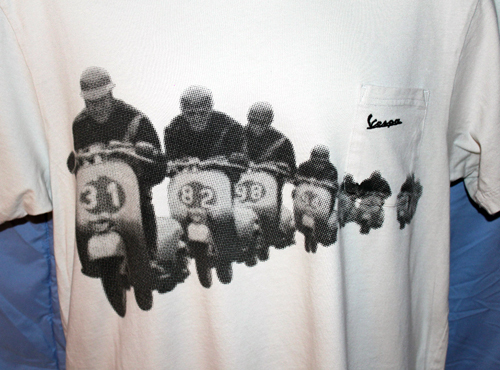 The “icon” scooter shirt is $26 and is a 4 layer appliquÃ©. It comes in sizes 1 1/2 years to 14 years. The romper/onesie (featuring a white Vespa) comes in a twin pack with a striped print and is $38. It’s available in sizes 0-3 mos to 18-24 mos. And the long johns featuring the same print come in a twin pack for $48 in sizes 1 1/2 years to 14 years. 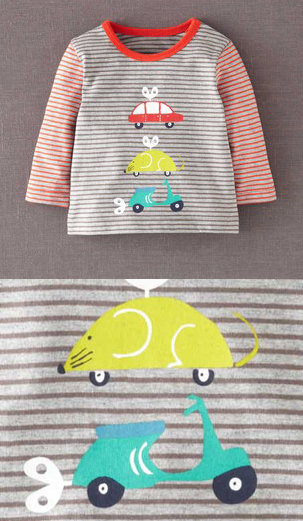 On sale now is this cute kid’s t-shirt at Gymboree. 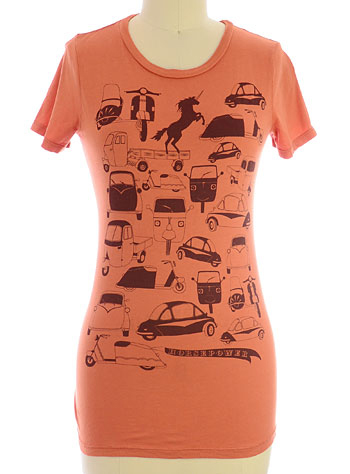 Regularly $21.95 it’s now $9.99 and comes in sizes 3-12. For those crafters out there who are pug and scooter obsessed, snapping up a couple of these to make into a pillow or a totebag or even frameable art just might be the ticket. After all Valentine’s Day is fast approaching.